5 Ways To Improve Your Skin! For a lot of people, skin can be a real problem. Even when you’re beyond your teenage years, the occasional break out of spots can happen! So what is the secret formula to keeping your skin healthy? Read on to find five top skin care tips! Oily Skin - The main cause of oily skin is too much sebum, an oily, waxy substance produced by microscopic glands called sebaceous glands in the skin. This can cause a greasy appearance, but can be cured with a facial cleanser for oily skin. Loose powder, blotting paper and clay masks also work wonders! Dry Skin - The polar opposite to oily skin, dry skin needs to be moisturised frequently. Dry skin is caused by a lack of sebum, resulting in cracking or chapping of skin rather than spot breakouts. Normal Skin - Normal skin is balanced, meaning you’re less likely to get spots or chapped skin. That’s not to say cleansing or moisturiser isn't necessary! You’ll still need to keep your skin clear and healthy by taking off your make-up. A Combination - While there are three main types of skin, the truth is that most people have a combination of different skin types. This might mean you have oily skin on your face but dry skin elsewhere. 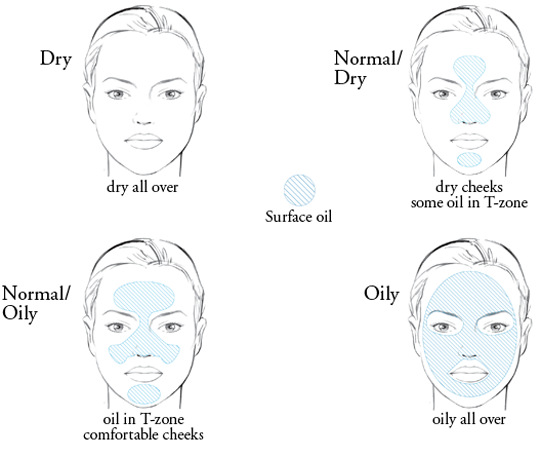 Try to identify what areas are dry and what are oily, then balance them out with moisturiser for dry areas and clay masks for oily areas. Ever wondered why men generally have less wrinkled skin as they age compared to women as they age? It’s generally because men don’t wear makeup, while shaving acts as an exfoliating effect. Models are also known to have good skin. This is because outside of photo shoots, modellingagencies encourage models to avoid wearing make up, helping them to keep a clear complexion. Yes, it’s very tempting to wear lots of makeup if you have blemishes, but in actual fact it’s much better to let your pores breathe, which also helps to clear up spots. It’s a great idea to go one day each week completely makeup free. 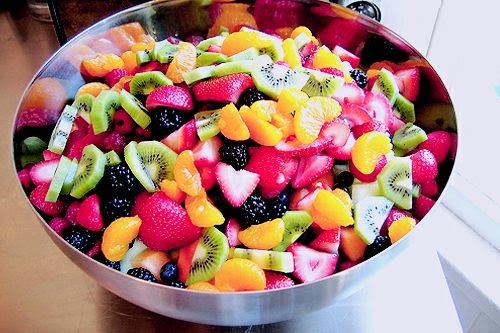 Eating well is a very important part of keeping your skin clear and healthy. While it’s tempting to buy lots of expensive face creams because they include lots of vitamins and minerals, many of these are already available in the food you eat. Not only will a healthy diet keep you slim, it’ll also keep your skin in check. The first thing is to make sure you eat plenty of different fruit and vegetables each day. While achieving five-a-day sounds hard, but it can be easily achieved by including fruit in your breakfast, snacking on fruit during the day and at lunch, and including a couple of portions of vegetables in your evening meal. The next thing is to stay hydrated. Water really is great for skin, helping to cleanse toxins and helps to keep dry skin moisturised. Finally, aim to include Zinc in your diet, which is a great antioxidant. Chances are if you eat breakfast, you may already be getting your allowance of zinc depending on your choice of cereals, but this can also be topped up with zinc supplements from high street health shops. Washing your face thoroughly is a great way to keep your skin healthy and clear. First of all, make sure to take off your makeup before you go to bed. Makeup blocks your pores, so while you're sleeping is the best time to give your pores a break and let them breathe. Then, aim to exfoliate twice a week, which helps to fight blackheads. Don’t be tempted to exfoliate more than this though! That’s because too much exfoliation actually can harm your skin, removing natural oils and making your skin sensitive. Finally, be sure you know what type of skin you have, and buy cleansers to match. If you have a combination of skin types, be sure to purchase different products to match the right areas. Finally, avoid touching your skin too often, especially on the face. Everyday, your hands are in contact with lots of germs, so touching your face often can actually spread germs to your skin! It’s a good idea to keep a hand sanitiser on you so you can regularly wash your hands and avoid germs reaching your face. All in all, ensuring you know what type of skin you have is essential to be sure you’re buying the right skin care products. Aside from those products, keep a good habit of removing your makeup nightly, going one day a week without wearing makeup, and be sure to keep your diet healthy! Tom Kingham is a blogger with a passion for fashion, skin care, health and fitness. I don't usually allow guest posts on my blog unless I truly believe they fit in with my content, this post I found interesting though and I am always on the hunt for some good skin care tips. Hope it helped you in some way to find out more about your skin type and how to improve it. Let me know below your thoughts? I try to have a t least 2 makeup free days a week if not more and hardly ever get spots if I wear alots for nights out or events I do feel my skin gets worse. Lovely post. Men have less wrinkled skin because their skin has more collagen, not because they don't wear makeup.